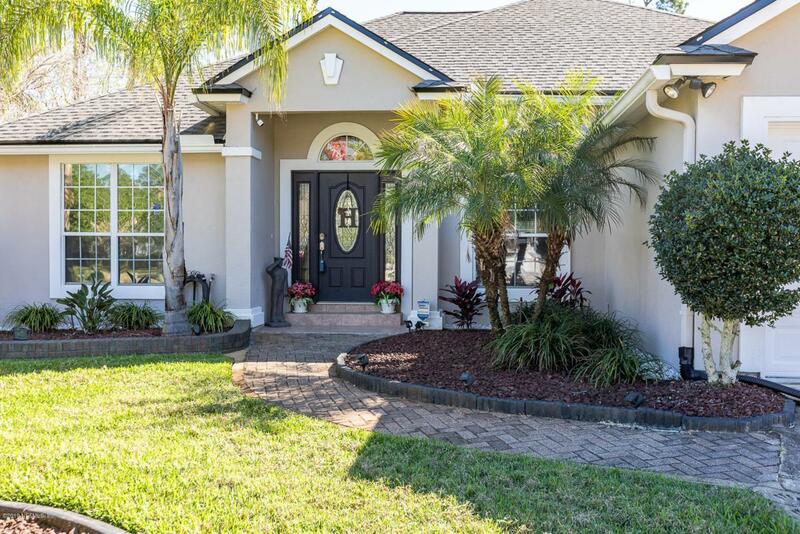 Love to entertain in this 4 BR 2 1/2 bath home! Features split BRs; LR rm/office; large family rm w/FP; dining area plus kitchen nook; Black Stainless Fr dr fridge & Dbl Oven! 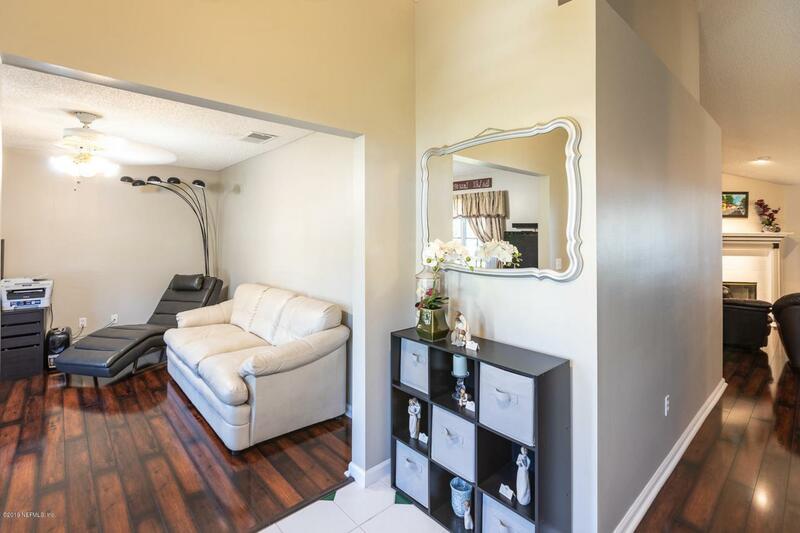 Master with large walk in closet, soaking tub, shower & double sinks. 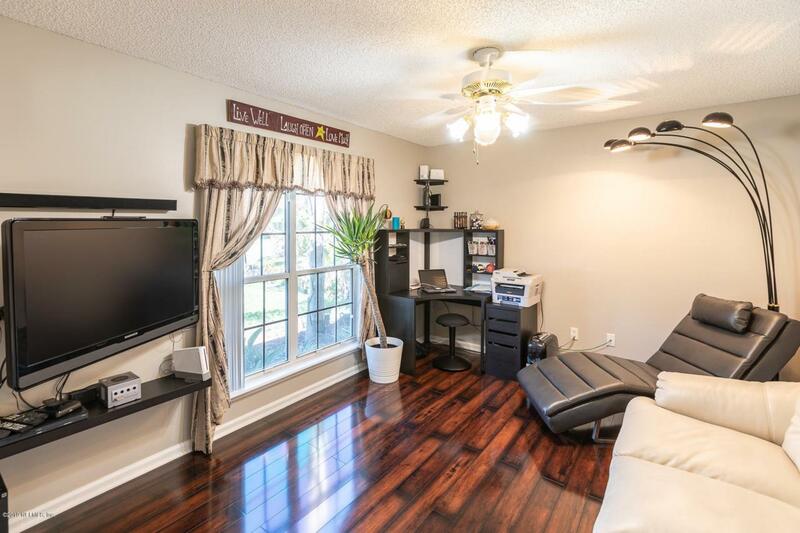 Plus the perfect BR as an office/game room or teen/in law with connecting 1/2 bath & walk in closet. Great landscaping, irrigation well & outdoor spaces with a 14x23 patio, Sunsetter awning + screen canopy. 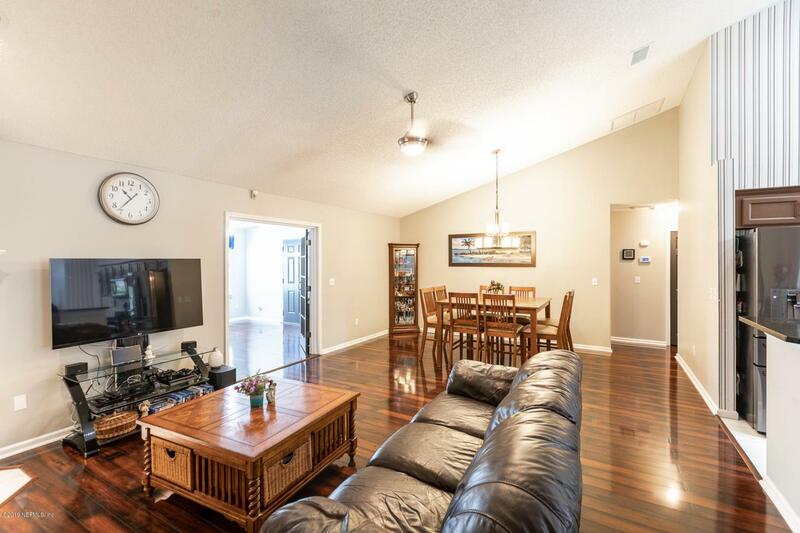 Well maintained home with vaulted ceilings, water softener, fresh paint & hardwood floors, newer Roof, A/C w/duct replacement & more - ck documents for full list. 2 miles to river - Blue Cypress & Lions Club Parks w/boat ramp & Reddie Pt Preserve - close to beaches, 295, downtown & 15 min to NS Mayport.